In light blue with a black vinyl interior. 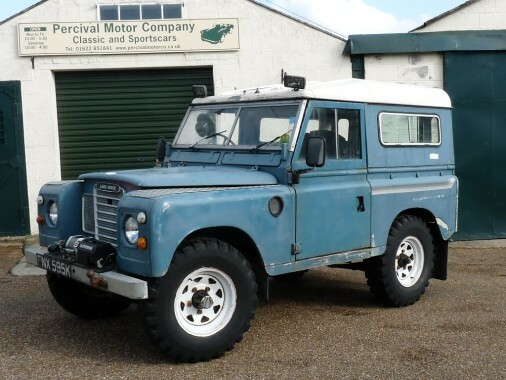 This is a rare Tax Exempt Series 111 with a hard top body with side windows. It is an original diesel engined car and still has a correct 2 1/4 diesel unit fitted, a four speed gearbox with overdrive and freewheeling hubs. It comes with Weller eight spoke wheels a towbar and a winch. The bulkhead is very sound, the underside is solid and the engine is quiet(ish!) The foot wells are a bit holey. The car is currently without an MOT and will need to be trailered away. The chassis number is 90600952A.